Among the more bizarre of sightings reports of strange creatures and entities are those that seem to describe something from straight out of a fairy tale. It is something I have covered here on Mysterious Universe before, and such surreal cases never cease to baffle and amaze. Equally from fairy tales and just as seemingly out of sync with the real world, yet nevertheless often depicted as being real and with sightings, are those reports throughout history of real live unicorns. Far from being merely the product of myth and imagination, some strange accounts seem to suggest that there is more to these fantastical creatures than we may think. As bizarre as it may seem, here is a look at odd accounts both historical and more recent that point to unicorns as having perhaps existed in some form. 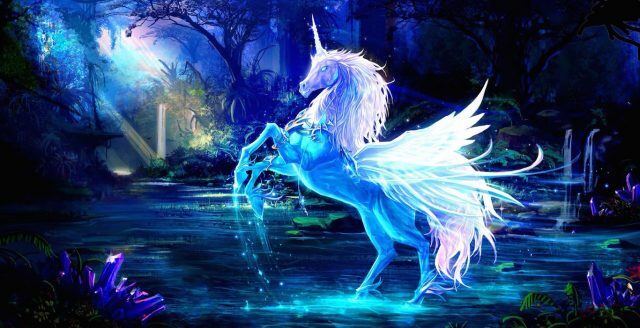 There is perhaps no other fairy tale creature of lore as well-known and also beloved as the unicorn. Often depicted as a majestic white horse with a flowing mane and a single horn protruding from the center of its head, but also variously as a one-horned deer, *bleep*, or goat, the unicorn has actually been depicted in one form or another for millennia and throughout cultures around the world. Such one-horned creatures have been depicted in art and legend since at least the Mesopotamian era (5000-3500 BC), and can be found in legends of such far-flung countries as Greece, India, China, and several countries of Europe, especially in Scotland, where it is to this day designated as their national animal. Unicorns are mentioned in many sacred books around the world, including the Bible, where the creatures are mentioned numerous times. Unicorns in various cultures are typically said to have magical powers to some extent, and they were thus highly prized for their qualities. Other traditions regard them as signs of good luck, or conversely harbingers of tragedy. Considering that they are such a part of myth and legend, unicorns are considered by many to merely that, and that they cannot possibly exist for real outside of the confines of folklore. Indeed the very word “unicorn” has become virtually synonymous with something which we want to exist, but which is either a myth or so rare to the point of being nearly nonexistent. Yet there have been numerous reports throughout history that suggest that they may have been perhaps real. For instance, from around the 15th century in Europe there were often said to be “unicorn horns” brought forward, which were considered to be valued well beyond their weight in gold, and powdered unicorn horn was a popular, sought after item all the way up until the 18th century. The horn was said to have all sorts of beneficial effects, and could supposedly heal or cure all manner of injuries or ailments, as well as serve as an antidote for poison. Pope John III and King James I of England both allegedly paid great sums of money for whole unicorn horns, although it is not known what happened to them and these may have very well been the horns of the one-horned narwhales. Similarly, unicorn milk, tears and blood were also thought to be very real, and to have remarkable healing properties and even potent aphrodisiac qualities, which fetched them exorbitant prices. Often even whole skeletons or other parts of unicorns would turn up, although these are mostly considered to have been cleverly crafted fakes, such as such a skeleton put together by German scientist Otto Von Guericke, who even provided a sketch of the creature in an otherwise serious book on natural history in the 1600s. Sightings of unicorns go back even further, with one of the earliest seemingly realistic accounts coming from the Greek doctor Ctesias in the 4th century BC, who wrote quite seriously of such creatures during his travels through Persia. In this case the animal was described as being a type of wild *bleep* as large as a horse, which had a white body, red head, and bright blue eyes, with a multi-colored single horn sprouting from the head measuring around one and a half feet in length. These animals were described as being very powerful and fast, to the point that they were able to easily outpace any horse. There is nothing in the account to suggest that this was seen as anything other than a real, unidentified beast. The Greek historian Herodotus also wrote about the “horned *bleep*” of Africa in the 3rd century BC. Other travelers such as Pliny the Elder, as well as Marco Polo, who called them “ugly brutes,” would also write of encountering unicorns during their journeys. Other famous historical figures who claimed to have encountered unicorns were Julius Caesar, Genghis Khan, and the Chinese philosopher Confucius, among others. It has since been speculated that these early reports were most likely misidentifications of some other exotic one-horned animal such as the rhinoceros, or that they were misrepresentations of other horned animals such as oxen, bulls, ibexes, onyxes, or goats, perhaps stemming from exaggeration or sightings of deformed individuals with some form of genetic mutation, all of which could have been colored by local myth to fit in with unicorns. A mutation is perfectly feasible, as there have indeed been found one-horned specimens of these animals on occasion. Yet many of these witnesses would have been familiar with some of these other animals to some extent, and don’t seem likely to have mixed them up with a supposedly mythical beast like the unicorn. What did they really see? Know one really knows for sure. Suddenly a unicorn came towards me at a gallop. There was a glow of light around the animal. My horse reared and almost threw me. Then, just as quickly, it was gone. My first face-to-face encounter with a unicorn took place in a Mexican jungle near Tamazunchale in the spring of 1968. The one photograph that I was able to snap is reproduced on this page. This picture, as the reader can see, is so blurry and nondescript that had I attempted to publish it at the time, I would have been considered as much a crank or hoaxter as those persons who occasionally submit to the press out – of – focus, suspect. A video of a supposed unicorn was taken in 2010 in the wetlands of the Don Valley, near Toronto, Ontario, Canada by a local birdwatcher named Peter Hickey-Jones. The video seems to show a white horse with a single horn emerge from the trees gallop though a creek and disappear into the woods again, and this footage was then purportedly submitted to the Ontario Science Center for analysis. When this video began making the rounds on the Internet it created quite a stir, and not surprisingly many immediately claimed it to be a hoax, especially since the video conveniently coincides with a promotional push for an exhibit at the center entitled “Mythic Creatures: Dragons, Unicorns and Mermaids.” It certainly looks questionable, but you can see the video here and decide for yourself. Even more recently is a sighting made in the highlands of Wick in Caithness, Scotland, in 2014. The unidentified witness claims that he was out hiking near the Castle of Old Wick when he saw what he described as “basically a horse with a horn,” which wandered off towards Loch Hempriggs, to the south of the town. At the time the sighting became big news in the area, even spawning plans to launch a “unicorn safari” for any curiosity seekers that came in to investigate. It is unclear just what the witness saw or what became of this report, but it is certainly odd. It seems that in this modern world there should be no place for such mythical creatures anymore, and that they cannot possibly be real in any sense. It seems absurd that anyone could possibly see a real-life unicorn, but there these reports are. One wonders if there is any grain of truth that can account for such reports throughout the ages. Were these misidentifications, mutations, or hoaxes? If they are real, what could they be? Are they an undiscovered species or subspecies? Are these unicorns perhaps something more magical in nature, or maybe something from another dimension seeping into our own? It is unknown, but certainly interesting to think about.